New Delhi, Jul 7 : A top Union Home Ministry official was in for a surprise on a trip to the remote areas of Arunachal Pradesh when he could not use his mobile phone as it picked up signals only of Chinese telecom firms on the other side of the border. The Joint Secretary-rank officer says that to his dismay, he found he could not make any calls through the available Indian networks in the area which is in the northeastern part of the country. The officer wrote a three-page letter to the Secretary of the Department of Telecom, saying he "had personal experience of getting Chinese signal in Arunachal Pradesh but was unable to make use of any Indian facilities to make mobile calls". The note alleged that private telecom operators had not installed telecom towers in the rural areas of the Northeast and also claimed that some companies, under the "influence" of Chinese telecom firms, did not want such facilities to be ever set up, particularly along the India-China border. There "seems to be a nefarious design of the outsiders who seem to be influencing Indian decision-making in order to keep the vulnerable areas vulnerable forever," the letter said. The note claimed that certain private telecom companies have taken DoT for a ride "by not commissioning thousands of towers" in rural areas and alleged that subsidies have been extended without any physical verification on the ground. "Since Northeastern India is a sensitive border zone, the government should decide to have full control over networks and that can only be ensured by nominating a government PSU to execute the task of rolling out new networks," the note said. It reasoned that this would also make the task of security agencies easier as they have time and again warned that in border areas, security of imported equipment can be compromised with "disastrous consequences". 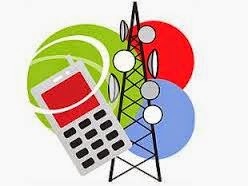 The Telecom Commission, which met last month, has approved investment of about Rs 5,000 crore to augment telecom connectivity in the northeast and the proposal has been sent to the Union Cabinet for its approval.